This was done by a young woman who is clearly on the right path! Her name is Shaunna, and she happens to be the daughter of a friend of mine from high school. 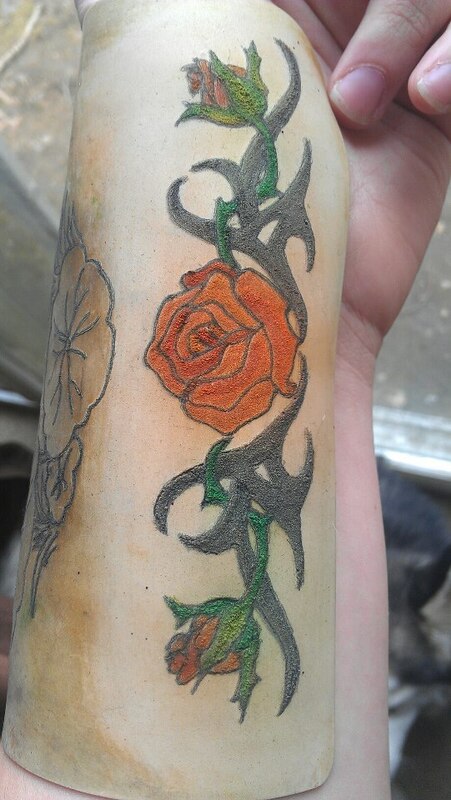 She tattooed this on a piece of silicone, and I think she did such a great job on the rose! That can’t be easy. I hope she’ll continue to share her work with us – her artwork is particularly good and I can’t wait to see more tattoo work! ← Tattoos In Germany! Gorgeous! Great article! Thanks for stopping by.